Paris is arguably the culinary capital of the world. Here, we recount some of our favourite restaurants in this enchanting city, exploring both ends of the price spectrum. This Parisian institution, situated in Montparnasse, St-Germain & just off Avenue George V, has an incredibly simple menu with no flexibility in terms of choice. To start with is always a walnut and lettuce salad. Then for the main, all they do are steak and chips – with the steak covered in their secret and buttery sauce. The atmosphere is classically French, chic, traditional and romantic, and the steak-frites are to die for. They don’t take reservations, so expect to queue before you’re seated! Tucked away in the trendy Marais area of Paris, this place is a world away from your average crêperie. These are simply the best crêpes in Paris, if not the world. The butter and cheese all comes from their farms in Brittany, and the savoury options include seaweed, Guéméné andouille sausage and smoked salmon amongst a vast array of other options. Book in advance or risk queuing up, as it’s a small restaurant and it fills very quickly. Stunning food in an incredibly romantic setting on the Seine overlooking Notre Dame, this restaurant ticks all the culinary boxes and the rest. Le Tournebièvre is quaint and classically French, without feeling pretentious nor stuffy. Try the duck confit or the slow cooked lamb, whilst the staff are attentive and charming. This place gets 5 stars from us. 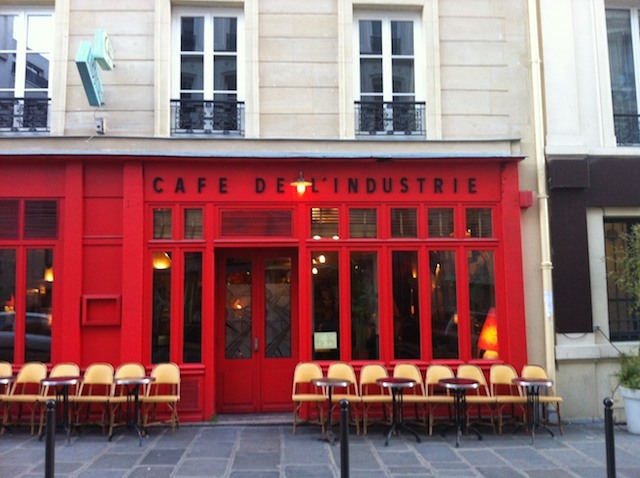 At the cheaper end of the spectrum, and nestled just off Place de la Bastille, Café de l’Industrie is a great locals spot that does the simple things very well. The restaurant is decked out in neo-colonial décor, the atmosphere is convivial and relaxed, and the food is fantastic value for money at €10-€12 for a main. Our favourites are the duck and steak tartare – a great option if you’re in the area. 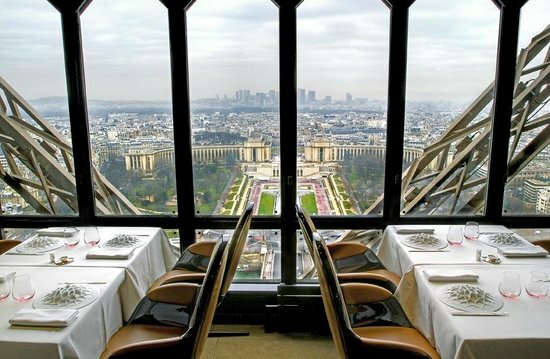 This Michelin starred restaurant provides the best restaurant views in Paris, and also some of its best food. This naturally comes at a hefty price, but it’s your honeymoon, so you’ve got to make allowances! The food is, needless to say, exceptional; we enjoyed the pan-seared duck foie gras, parsnip and prune, as well as the truffled macaroni au gratin. You can’t get a much more romantic setting than enjoying a delicious meal in the Eiffel Tower, and this is the place you have to visit at least once with your partner. For more information on Paris more generally, have a look at our Paris Honeymoon Page, where we’ve compiled a list of all the best tour operators who can plan your bespoke dream honeymoon to Paris. Incroyable!